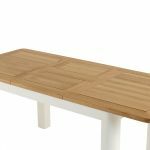 This set of white dining table and chairs is an inviting place for people to get-together for good times. 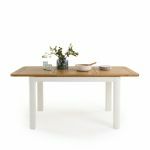 The Hove extendable dining table has simple curves, and a young, modern look. 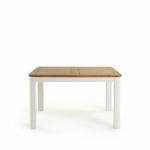 The table has rounded off corners in chalk white painted hardwood and a solid natural oak top. 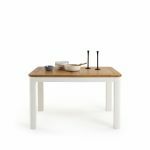 It’s unfussy, with a playful retro modern style. 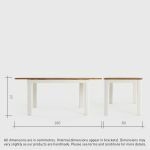 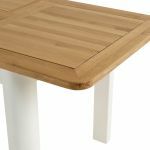 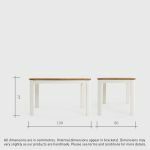 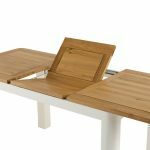 This Hove table starts out at 4ft 3” (130cm), extending to 5ft 9” (180cm) with a simple mechanism. 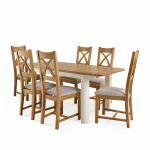 The table is teamed here with six cross back chairs. 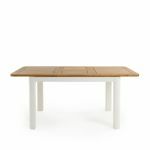 Their natural oak finish matches the table top, and the grey upholstery is neutral against the white table legs. 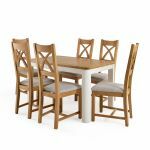 With free delivery included, buying a dining set is a great way to update your dining room – at a great price. 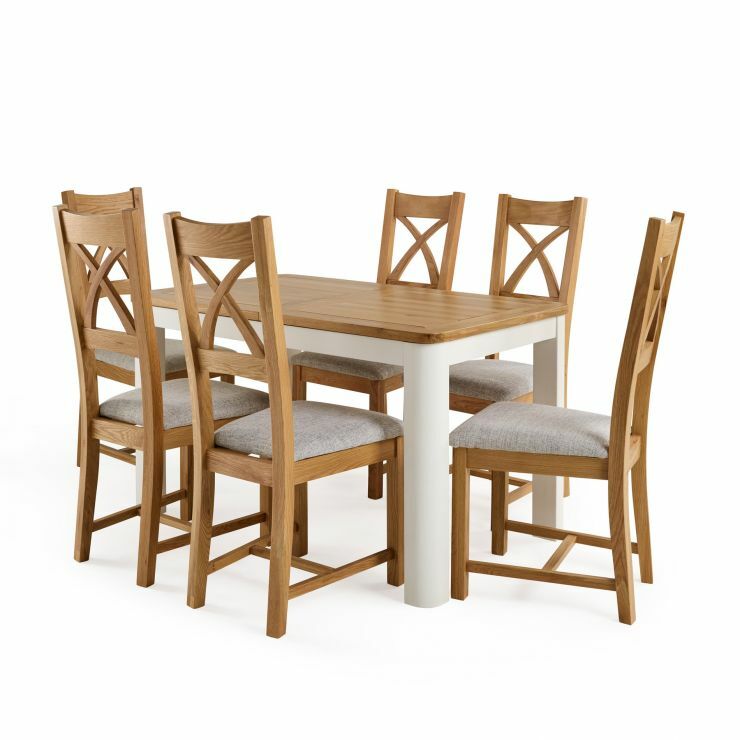 Remember, you can fine-tune your set with more chairs or a different style with our Dining Set Builder.